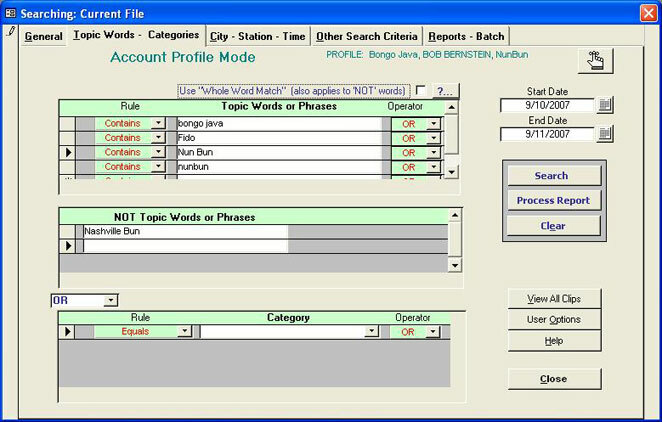 Select a Client/Contact then select an Account Profile that contains the particular search parameters. You may then edit, delete or run the search. You may also create new profiles. With the new, easy-to-use, search features QuickScan users can focus their searches to an extremely fine point. This can eliminate many superfluous 'hits'. 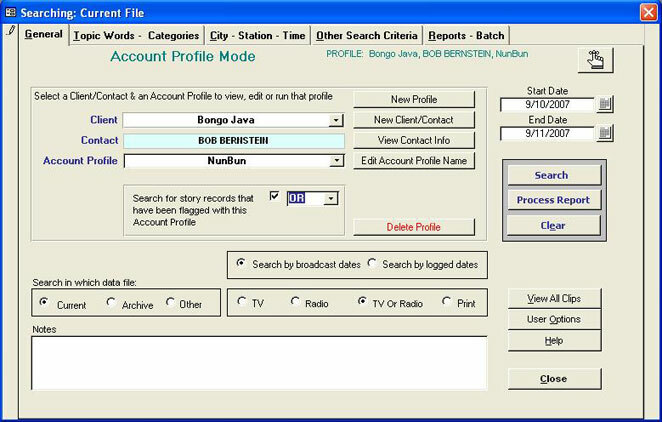 With the screens pictured above users will be able to create and store an unlimited number of search profiles. 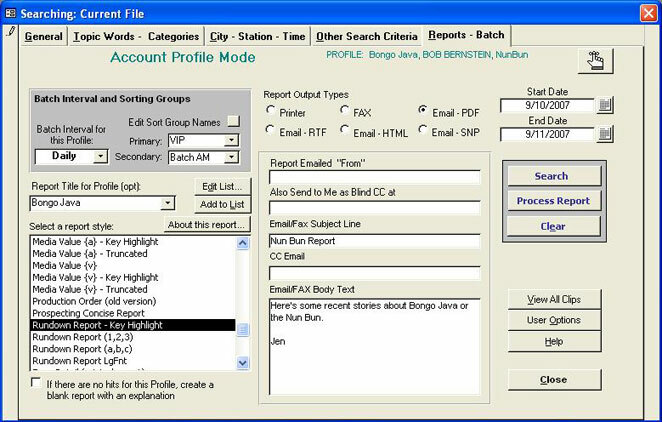 These account profiles can then be called into use by selecting the Client/Contact from a list and selecting the appropriate report.